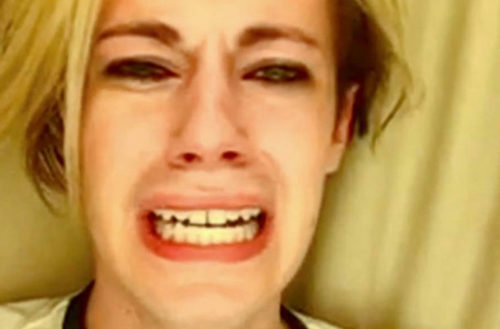 A decade ago, a relatively unknown YouTuber named Chris Crocker uploaded a video rant entitled “Leave Britney Alone!” (below) in which he passionately screamed about critics of Britney Spears’ lackluster performance at the 2007 MTV Video Music Awards. The video went viral and today Crocker has explained the emotional personal backstory that compelled him to create the video. In Spear’s 2007 VMA performance, the pop star “seemed to sleepwalk through her routine, flailing her arms and failing to synch her lips with the subpar dance ditty blasting through the speakers,” according to abcnews.go.com. Crocker feared that Spears might try to commit suicide from all of the negative press coverage that followed her performance and he pledged to kill himself as well if she did. “All you people care about is readers and making money off of her,” he cried. “She’s a human!” he then screamed, wiping away a tear. For it’s lo-fi quality, the video seemed to have authentic passion and demonstrated the sort of spontaneous devotion that connected with viewers, whether they were fans of the pop star or merely found such a passionate defense of her astounding or funny. The video received over four million views in two days and made Crocker an instant web-lebrity with multiple TV appearances on CNN, Fox News, MSNBC, The Today Show, Maury, The Howard Stern Show and Jimmy Kimmel Live!. The video also made Crocker and his message a target for widespread mockery and spoofing with countless parody videos and mentions in pop-culture TV, cartoons and film. FOX News even went so far as to compare the fabric backdrop in Crocker’s video with the backdrop in the videos of now-deceased terrorist mastermind Osama Bin Laden. The FOX News commentators even questioned Crocker’s gender. Today, Crocker acknowledged the 10-year-anniversary of his (in)famous video and shared some background information about the events in his personal life that compelled him to create it. 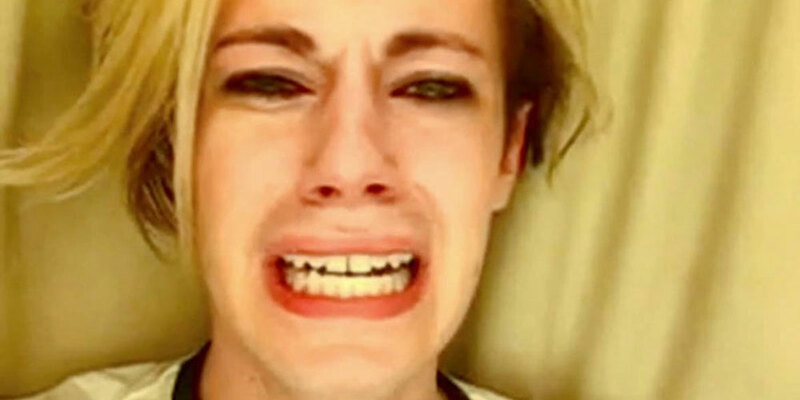 10 years ago on this day, I defended my favorite pop star against the media. While I’m known to do comedy: This was one video that I was serious in. That year, my mom was battling addiction & became homeless after serving for our country in Iraq. The struggles in my home life and family made me defensive over any woman going through a hard time. The internet and YouTube was a very different, less LGBT friendly place at the time. Nothing I said in the video was listened to. I was mocked for my femininity. I was called every gay slur in the book. Talk show hosts questioned whether I was a man or woman, after playing the clip. I knew there was no way people would take me serious. So I decided that I would play up the joke everyone thought I was. Realizing that telling them about what had actually triggered my emotional reaction (What my mom was battling) wouldn’t be of interest to anyone. So I gave them a cartoon of what they assumed I was, in my public appearances afterward. But the truth is and always was about standing up for someone and not standing idly by when you see someone being hurt by others. In the 10 years since this video — A lot of LGBT Youtubers are celebrated for who they are. I often wonder if I had started videos later, if I would’ve been treated differently. But what I will say is this: Even if I got a public beating for standing up for what’s right: I’m happy I did. And I’ll always love Britney Spears. I started to realize that I’m not that 19-year-old anymore and things that I have been through — depression, anxiety, and different mental health issues that I have tried to overcome — that came into play in my mid-20s, and having this reputation of being the “Leave Britney Alone” guy for so many years, and all these things that people thought about me; y’know, I realized that the environment was something I couldn’t handle any more. He is still active on Facebook and Twitter, posting about his pop obsessions, personal life and tackling LGBTQ issues like mental health and femme-shaming.